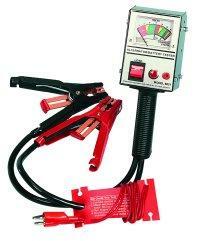 Tests alternators and starters heavy-duty insulated clamps. 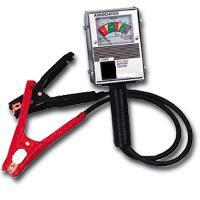 Dimensions: 11.7 L x 6.8 W x 6.6 H.
12 W x 12 L x 7 H.
Stainless steel receptacle mounts onto a truck bumper and connects directly to a battery. 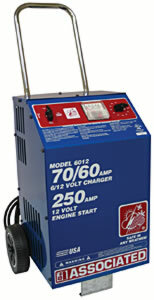 The Does Everything wheel charger which has 60 Amp charge rate and 270 Amps of crank assist. This unit also supplies clean standard power for reflashing and extended electrical system testing. Charges automotive Deep Cycle AGM and Gel Cell batteries.